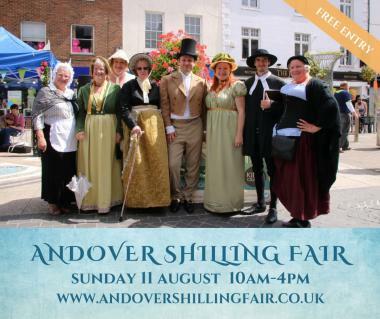 We are seeking fantastic handmade craft and food traders, together with plant / garden and vintage stalls for Andover Shilling Fair 2019. Andover High Street will come to life at this unmissable free day out celebrating the town’s Georgian heritage. Andover’s stunning Georgian streets will come alive with a programme bursting with colourful street performers, Regency costumed figures, themed market stalls, traditional fairground rides, local musicians, rural craft displays and fun hands-on family activities. The event is free for visitors and is held in Andover's busy pedestrianised town centre. Over 4,500 revellers came along to the second Shilling Fair in 2018. We expect this to grow in 2019. 45 pitches are available. Stalls cost from just £45. Deadline for applications: Friday 28 June 2019.